Just look at what silver prices are doing today. The white metal was up $0.12, or 0.72%, at $16.30 just before noon today. One thing keeps pushing silver higher: Greece. The broke country met with Eurozone officials Monday in attempts to finalize a debt-restructuring deal. In a proposal sent early on Monday, Greece moved to yield to lenders' demands for tax increases and pension reforms. Greece offered to raise the country's retirement age gradually to 67 and limit early retirements. It also offered to reform the value-added tax system to set the main rate at 23%. But nothing has been resolved. Greek citizens are pulling money out of banks. They're afraid the government will impose capital controls that limit withdrawals. Then there are concerns over the ripple effects that would felt across the Eurozone region. The initial reaction in such a scenario would be in spike in silver prices. With the situation in the region grave last week, silver prices rallied. 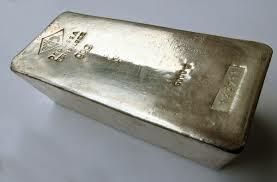 The silver price climbed 1.3% Thursday to a two-week high of $16.153 an ounce. The white metal held onto gains Friday, with the silver price up $0.013 at $16.14 an ounce in early trading. Also stoking silver last week were dovish comments from the U.S. Federal Reserve. The central bank said that while it remains on track to implement its first interest rate increase since June 2006 sometime this year, hikes will proceed at a slower pace than previously expected. Silver prices have been pressured this year from expectations of interest rates boosts. So what's the longer-term silver price forecast? Here's a look at a couple factors that will affect the silver price for the remainder of 2015. Why it is so strange that even though the white metal is having demand increased the supply is lowered as per this article silver was 0.72% slow but still it is not enough to compare the demands if we talk about its utilization 64billion ounce is used in solar cell in 2013 according to a article on profitconfidential.com, As far as i've studied silver it is a very promising precious metal that can provide better outcomes in long term scenario.